Posted on February 6, 2014 by J.
Let’s say you’re still making this transition, trying to learn how to avoid thinking in terms of angry, innocent, deceitful. You’ve studied the script, you’ve marked your beats, you’ve found your verbs, and by God, you really are trying to play them for all they’re worth! But there is something worth noting: your director has a different job to do than you do, and adjectives/adverbs are part of the language he is apt to speak. He may not even be aware of this adjective/verb thing. He’s going to continue to use adjectives, and you know what? That’s just fine. Because you can translate them into verbs. Why does he use adjectives and adverbs if they aren’t part of a good actor’s language? Because he’s not an actor. Because it’s a quick way to communicate what he wants; verbs take longer to find. Because even though it’s live theater, his view is almost cinematic, and so he is dealing on some level with images, sounds, emotions. Large brush strokes. And because he naively thinks that he is getting to the heart of the matter and being helpful. So if he asks you for anger, or confusion, or excitement, he’s not really telling you how to do your job. He’s just telling you what he wants to experience viscerally. He may not even know what he means, exactly; but he’ll know it when he sees it from you. It’s not his job to learn an actor’s verbs; it’s your job to translate his instructions into terms that are meaningful for you. When you have a verb you can actively play that will help you produce anger, you can move forward with the rehearsal. But if you allow yourself to revert to using adjectives just to please your director now, that choice will have a negative impact on your performance, and that won’t please your director later. You’re just postponing that difficult discussion for another day down the road, when he realizes that you aren’t making the progress with the scene that he had hoped for. And believe me, he’s not going to realize that he hamstrung you back at the rehearsal where he asked you to play angry. 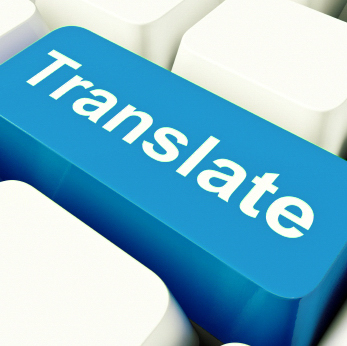 Take the time you need to make the translation and then to consider how this adjustment might affect the scene. Then play the scene again, with the adjustment. I’ve never met a director who objects when an actor asks for a minute or two to make an adjustment. Don’t feel that you can’t ask for time. In the long run, you are helping the production and saving it time. Trust that. To read Big Verbs vs. Little Verbs, go here. To read Why Playing Verbs is (Ultimately) Easier Than Acting Emotions, go here. This entry was posted in Acting, Directing, Verbs and tagged Acting, acting technique, Actor, Community Theater, Rehearsing. Bookmark the permalink. Yes. I will throw an adjective at the actor and at the same time think, “but that’s not a verb.” Now I’ll stop worrying about it! You’ll find that as you become fluent in verbs as an actor, it will be easier to speak in an actor’s language when you direct. But there is so much thinking on your feet that happens as a director that no, it doesn’t come naturally to most. And no, it’s not your job as a director to worry about i!